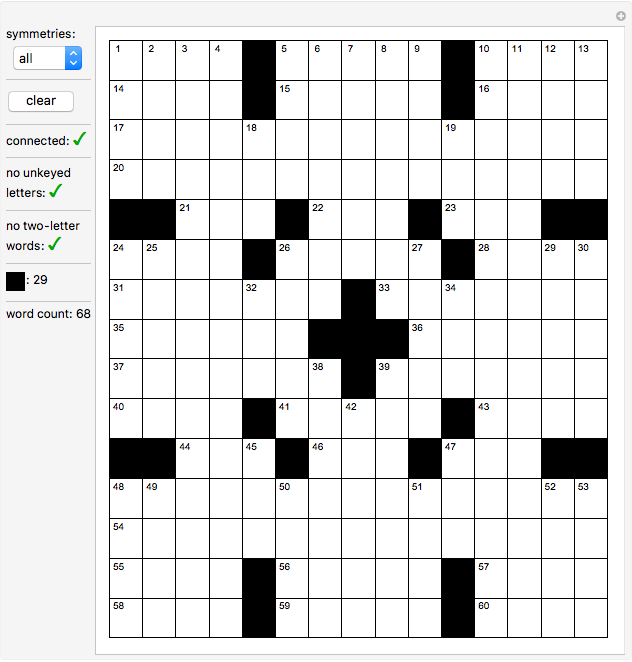 Use Mathematica to create a crossword puzzle grid by clicking squares to change the color from white to black or vice versa. The numbers in the grid and the total word count automatically update. 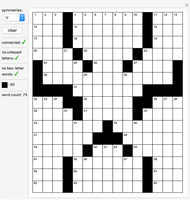 Creating symmetric grids is made easier by selecting the desired symmetries from the pop-up menu. Clicking a square then changes the color of all squares in the orbit of the clicked square under those symmetries. 1. They have rotational symmetry. 2. Fewer than one-sixth of the squares (38, in the case of a standard 15×15 grid) are black. 3. 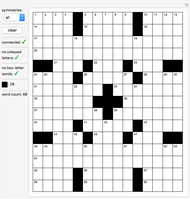 There are no unkeyed letters (each filled-in letter in the grid must be part of two words, one across and one down). 4. Words must be at least three letters in length. 5. The grid must be connected (the black squares cannot cut the grid into two or more separate pieces). 6. The number of words should be in the low 70s at a maximum. 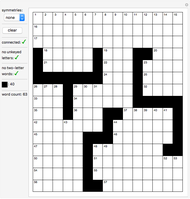 Further details and guidelines for crossword construction can be found at the Cruciverb website . Cruciverb.com. (Dec 29, 2015) www.cruciverb.com/index.php?action=ezportal;sa=page;p=21. 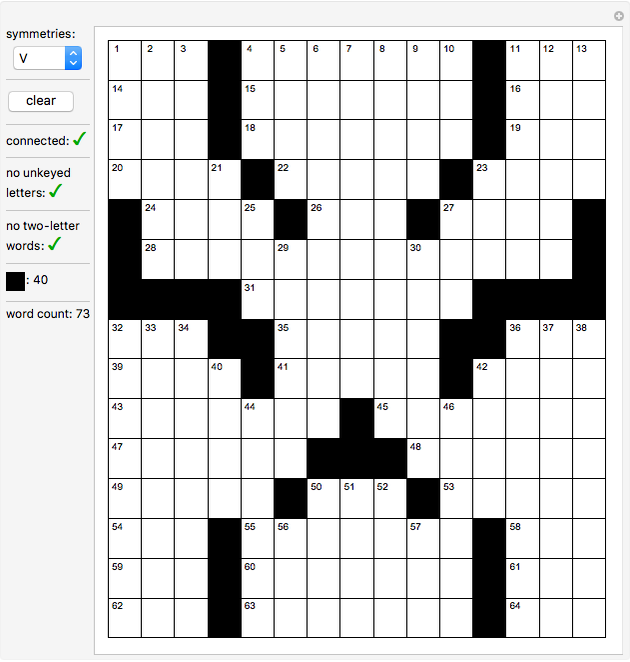 Marc Brodie "Crossword Grid Maker"